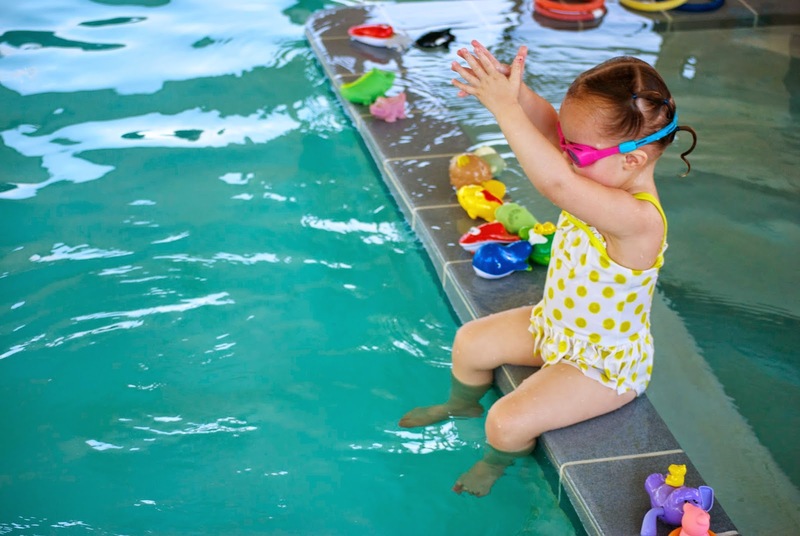 One of the things we look forward to each week is swimming lessons and luckily for us, Sadee gets to take lessons from her own Nana and Aunt Mindee. She loves it - and by love I mean that she practices her swimming skills inside and outside of the pool. My favorite thing is her diving pose, lovely right? At under 2 years old, Sadee has become an outstanding swimmer and can basically do everything on her own - but thankfully someone is always right there to make sure. Her favorite thing is jumping off the wall and diving board. Heaven help me and my little dare devil child! I'm thankful she is learning skills to keep her safe, especially with her fearless personality. And PS, I feel sort of lame that I don't have any spectacular thoughts or crafty writing, but these pictures sort of speak for themselves, don't you think? 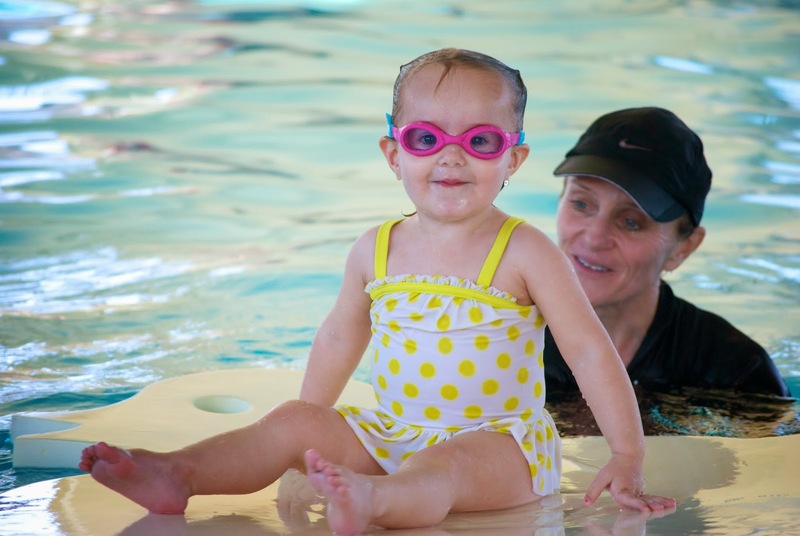 Interested in swimming lessons? Visit Kids Can Swim for more info. You won't regret it! Love the last pic so much!